We’re taking you with on a bus ride that will take us through various locales in Manhattan and some parts of Brooklyn and The Bronx to discover the best spots in New York. Believe us or not, exploring the US by bus is one of the awesome things that everyone should do at least once in a lifetime. It’s a different experience that you can’t compare to taking the plane or fast trains. It’s not only a greener and more flexible way to explore this marvelous country, but definitely one of the cheapest ways to stay on the road longer. Exploring the capital city of Poland- Warsaw on a budget: Where to sleep, Where to eat, What to explore. 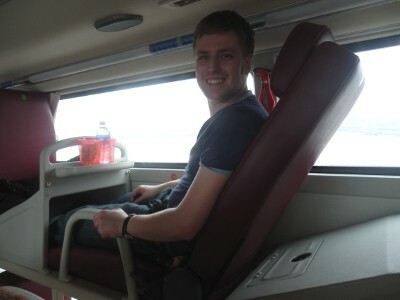 How to travel cheaply inside China (4 the cheapest means of transport). The day when Me and Cez met up together in Chongqing, China. He came from Vietnam to China to explore this country with me….